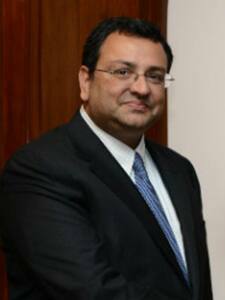 Cyrus Pallonji Mistry(July 4, 1968 to present)is Named as the 'most important industrialist' in both India and Britain by the Economist, Cyrus Pallonji Mistry, 47, is the sixth chairman of the Tata Group. Taking the charge from Ratan Tata on December 28, 2012, this London School of Business alumni held the post of Managing Director in Shapoorji Pallonji & Company, Tata Elxsi Limited and Tata Powers. Currently, he heads all the major Tata companies as chairman, including Tata Motors.